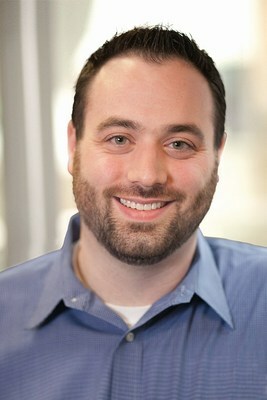 WAYNE, Pa., March 20, 2019 /PRNewswire/ -- Corporate tax services firm Global Tax Management, Inc. (GTM) announced today the promotion of Ryan Lynch to Chief Technology and Information Officer (CTIO). This newly created position has been established to provide strategic technology leadership across the organization that will advance continuous innovation in GTM's services delivery model. Considering the sustained focus on technology within tax departments as well as the rapid pace of new technologies entering the space, GTM is committed to providing its clients with practical, technology-enabled services. This includes the application of corporate tax-focused software solutions and enterprise technologies that bring a new level of sophistication to tax departments such as business intelligence, data management, collaboration, and RPA software. GTM's expansion within the tax technology space also includes the addition of Chris Mitchell, Senior Manager, to GTM's NY Metro office. With previous technology leadership roles at PwC and Thomson Reuters, Chris brings a strong tax technology background and will be handling day-to-day management of technology-related projects for GTM clients in this region. Chris joins Anthony Sorrentino who currently handles the same responsibilities for the Pennsylvania and the D.C. Metro marketplaces, as well as a dedicated team of Tax Automation Services (TAS) professionals focused on delivering tax technology services. Ryan has deep roots in tax technology, with prior positions at Deloitte and Thomson Reuters. He was also an early employee of TaxStream, LLC before its acquisition by Thomson Reuters. Since joining GTM in 2010, Ryan has led many successful software implemenations, process redesign projects, and custom development engagements. In his new role, Ryan will set strategic direction for the TAS practice while expanding his technology responsibilities more broadly throughout the organization. "Ryan has a proven track record within the tax technology space that includes leading the significant growth of our TAS practice and winning the 2018 Thomson Reuters Taxologist of the Year award," said Dave Laurinaitis, CEO and Executive Director of GTM. "Technology is an area that requires our continued attention, playing an ever-increasing role in our clients' tax function and requiring us to have an innovative mindset. Under Ryan's leadership, this new role at GTM will empower our firm to continue to lead in these areas." Global Tax Management (GTM) is the largest firm in the Mid-Atlantic region that focuses exclusively on delivering corporate tax services to mid-size and large multinational, public, and Fortune 500 companies. Core services include tax provision, compliance, international tax, transfer pricing, indirect tax, technology automation, and tax planning and optimization services. GTM is distinguished as a best workplace, healthiest employer, and top accounting firm in the region. Headquartered in Wayne, PA, GTM is a 100% employee-owned company (ESOP) with regional offices in Woodbridge, NJ, Pittsburgh, PA, Harrisburg, PA, Tysons Corner, VA, and Wilmington, DE. GTM is a U.S. partner in the WTS Global international tax network. For more information, visit www.gtmtax.com.